As our portfolio grows, we can help make more of an impact if we leverage the power of our vast network. One part of that effort in scaling impact is to create an “ambassador-like” program. Our intention is to help empower leaders, provide them with access and a platform to collaborate, and host events that are open to our portfolio companies. Last fall we launched a program exclusively offered to employees within the USV portfolio. Having been invited or nominated to apply, these 10 individuals were chosen based on their level of involvement in the USV network, their leadership skills, and their ability to connect others. The impetus and execution for the USV Level Up Series came from 4 participants in our Network Leaders program - Karen Ko, Office Manager at Foursquare, Michael Rurka, Design Lead at Nurx, Amethyst Hills, Executive Assistant at Carta and Noelle Li, Business Intelligence Engineer at Funding Circle US. 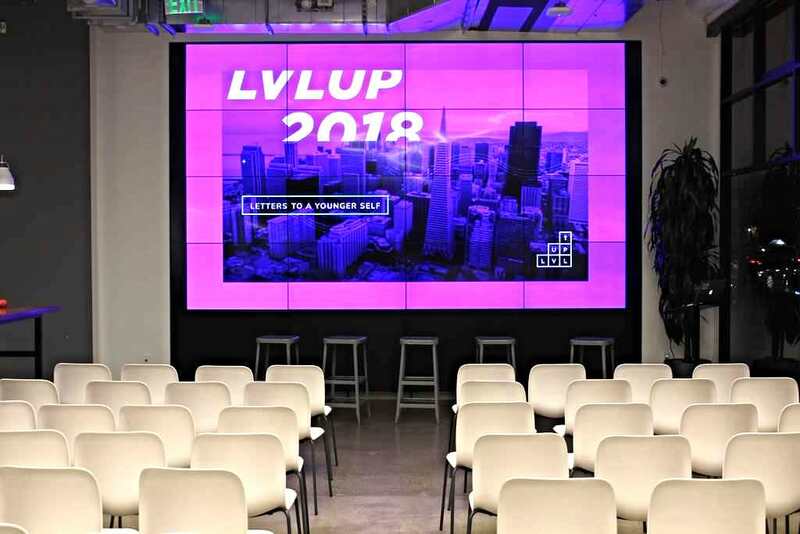 During the week of January 23, we hosted the 1st USV Level Up Series in San Francisco. 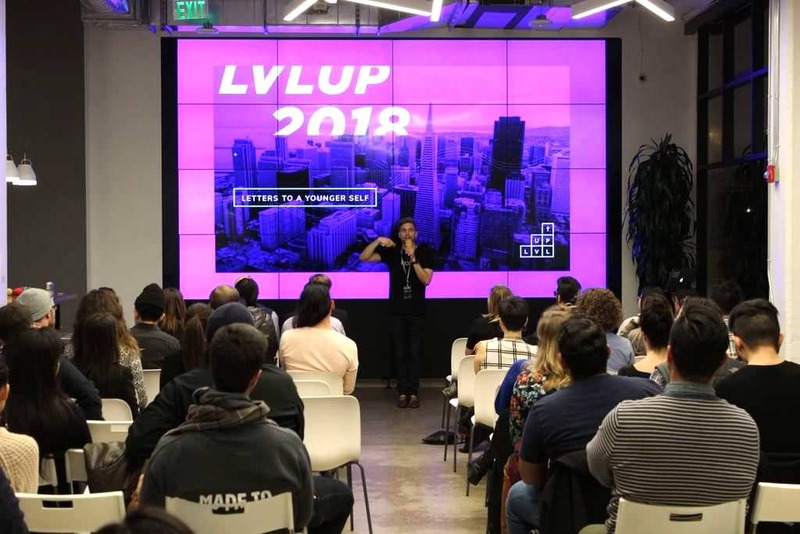 This 4 day, 5 event program engaged over 200 USV portfolio participants, showcased 20 speakers, 4 Bay Area portfolio offices, and built the foundation for countless connections and future events. The central theme of the USV Level Up series was around career and leadership development. Each event had a fundamental goal of giving participants tools, contacts and valuable insights to enhance their professional development. Below is an overview of each event, its’ general flow and some valuable lessons shared with our network. 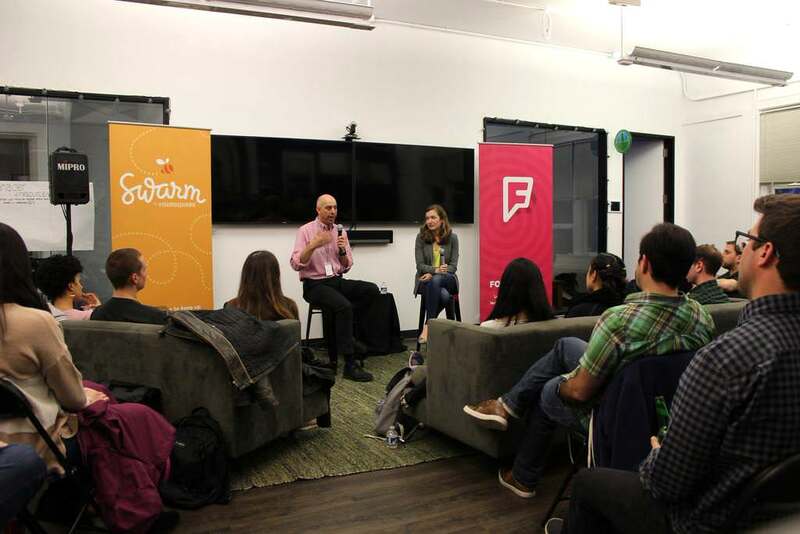 The first event on January 23 was “Letters to a Younger Self” which was held at Cloudflare’s office. The evening included 5 speakers from a variety of job functions standing in front of 65 participants, reading letters they had written to younger versions of themselves. Their current roles included CEO & Co-Founder, Account Executive, Project Manager, Business Development and Founder. Some letters were personal, some strictly professional. Regardless of the story line, each person shared valuable life lessons they’ve learned throughout their lives to becoming who they are today. One common thread between presenters was that they are still learning. They encouraged their younger selves to be patient, give into the journey and trust themselves. Each of them faced adversity, success, and tough decisions and gave valuable, candid advice on how to level up. USV Network Leader Michael Rurka sharing his story and his interest in hosting “Letters to a Younger Self”. 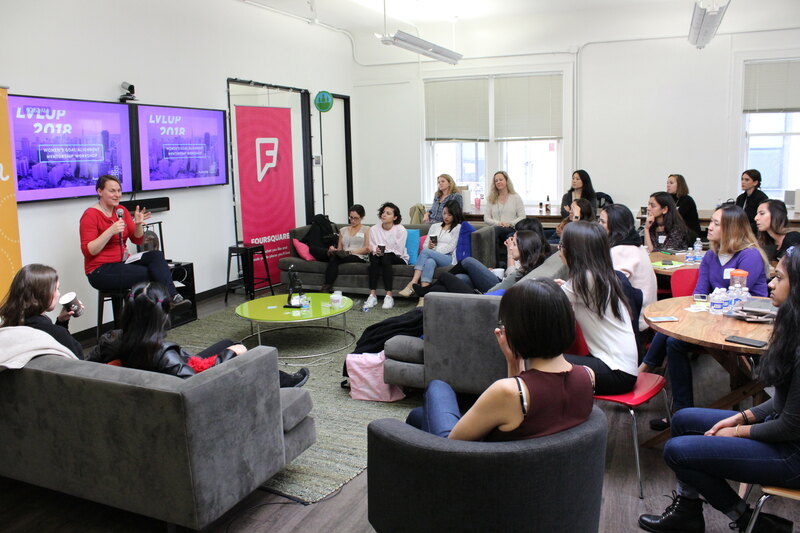 Wednesday evening featured a Manager Fireside Chat with Foursquare CFO, Rory Parness and was held at their office in San Francisco. Moderated by Bethany Crystal, GM of the USV Network, the conversation centered around Rory’s career and his advice about leadership, management, sharing pitfalls, and candid lessons learned. The conversation also included his management philosophy, thoughts on mentorship and sponsorship, and the power of networking. With over 40 participants gathered in their office communal area, the Foursquare office was buzzing with chatter. Employees that might not have otherwise attended felt compelled to join the conversation and hear from one of their company’s leaders. One quote that resonated with many was that “God gave us two ears and one mouth and we should use them in that proportion”. One of the key traits of a good manager is that they understand how to listen, how to ask effective questions, and lean on data and facts when giving feedback. 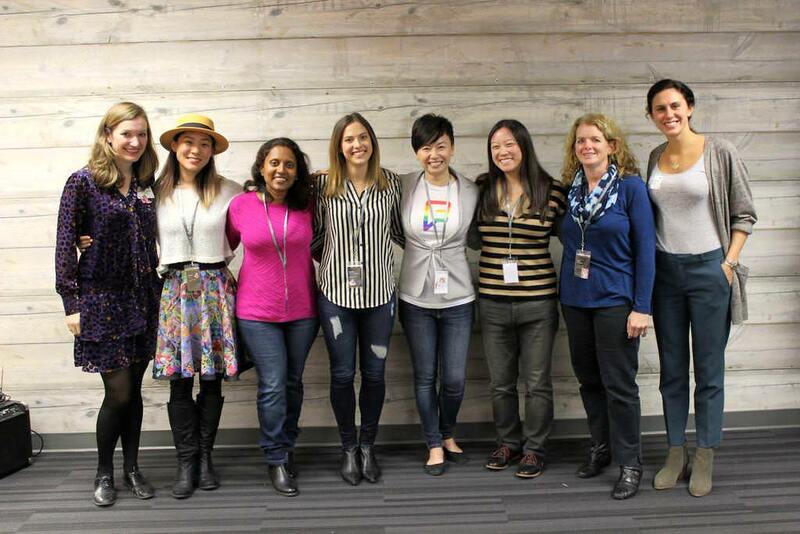 On Thursday, January 25, Carta hosted a “Forging Your Path as a Women in Tech” panel. Moderated by Natalie Weyerhaeuser, Software Engineer at Foursquare, the panel included Connie Yang, Director of Design at Coinbase, Suja Viswesan, Engineering Director at LinkedIn, Diane Ko, Front End Software Engineer at Airbnb, and Jane Sherman, Principal Technical Project Manager at Funding Circle. The audience was 30-35 women and men and the discussion weaved from career planning and manager versus IC (individual contributor), to advocating for yourself, culture, retaining women in tech, imposter syndrome, and finding a sense of belonging. Panelists, moderator, Network Leader and USV Network Team after the “Forging your Path as a Women in Tech” panel. Panelists (left to right) Connie Yang, Suja Viswesan, Diane Ko, and Jane Sherman. The fourth event on Friday, January 26 was centered around mentorship, career development and leadership for women. The agenda had a blend of keynote speakers including USV partner Rebecca Kaden, group breakout sessions, mentorship brainstorming and networking. The Network Leaders who organized this event wanted the setting to be conversational and transparent and capped the registration to 25 people. Each attendee came from a different expertise, title, and department, but they all commonly shared the interest in participating in a mentorship program. There were 6 mentors invited to lead a mentorship “breakout session” with a smaller group. Apart from myself, the mentors included Carol Foster, COO & CFO at SharesPost, Pat Suh, VP of Customer Success at Affirm, Annie Lange, Co-Founder at Stealth, Andi Vanetta, CEO & Founder at Vanetta Partners, and Jane Sherman, Principal Technical Project Manager at Funding Circle. One fundamental goal of this workshop was to use this initial discussion and “matching session” to kick off a series of mentorship circles for women in the USV network. At the end of a hectic, content-heavy week, there was an optional happy hour for those who attended any of the USV Level Up events. We wanted to thank everyone for participating, connect those who might not have had a chance to meet during the week and hang out. One of my favorite photographs from the week came out of this social event. Karen, one of the USV Network Leaders, asked everyone to draw their face on a post-it and write 3 words to describe you. Then, see if you have anything in common with others on the poster and, if so, draw a line to connect you. Well, if this isn’t network effects in action I don’t know what is! Seeing people connect with others on common interests such as programming, ultimate frisbee, design, and dogs (dogs was a big one!) was the icing on the cake. A phenomenal way to sum up the incredible success of our 1st USV Level Up Series.